When you first signed up with Ryver you were sent a “Welcome to Ryver” email from Team Ryver. This email contains the URL link to your site, your Username and Organization Name. If you no longer have access to this information or believe you changed it, you can perform the following steps to recover your information. 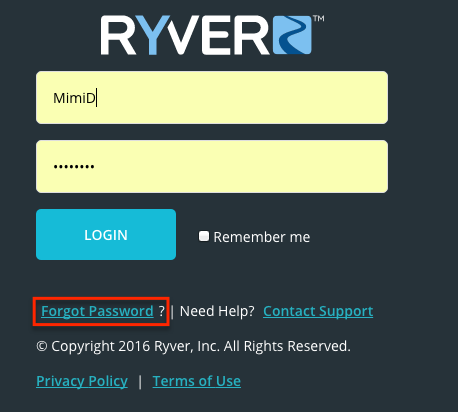 On the Ryver Login Screen, Click the “Forgot Password” link. 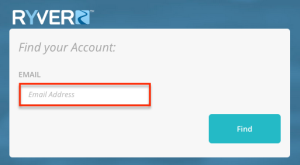 Enter your email address that was used to create your Ryver User Profile and then click “Reset”. Ryver will send you a “Reset Password” link via email. If the dialog does not display the message “Please check your email for password reset instructions.”, you likely entered an incorrect email address. Your Ryver Organization is the name of the site that you were invited into by other Ryver Users or chose to create. For example, if your Ryver URL is “https://test.ryver.com”, your Organization name is “test”. If you do not know your Ryver URL or Organization/Account name, you can click the following link Forgot Ryver Account and enter the email address associated with your Ryver Organization/Account. You will receive an email from “Team Ryver” with the Subject Line “Your Ryver Apps”. This email will contain ALL the Ryver App Accounts and Roles (Member or Guest) associated with that email account. 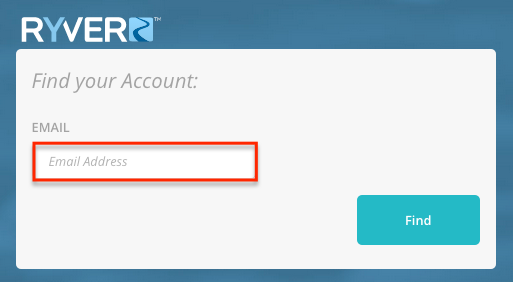 To access the URL, simply add “.ryver.com” to your account name in the URL address bar in your browser.